In the current economic climate, it can be difficult to keep up with the costs of day-to-day living, let alone the bigger expenses that life can throw at us like school fees, weddings, medical bills, funerals, or car and house repairs. These costs are often unexpected and can lay ruin to even the most prudent financial plans. However, there’s no need to start selling off your assets to meet financial demands. 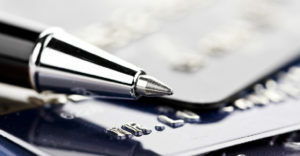 Instead, take out an asset loan with The Loan Company, a privately owned and registered credit provider. The Loan Company specialises in asset loans from R5,000 to R500,000 which can be paid off in a 61–90 day period. Asset loans are loans that are administered to the value of, and in exchange for, collateral assets. Put simply, this means that you can use your paid-off assets as surety for your loan. The more valuable your asset, the more you can borrow. Then once you have repaid your loan and associated interest and fees, you get your asset back. It’s as simple as that. >h2>What assets can I use, and will they be safe? The Loan Company accepts paid-off cars, motorcycles, bakkies, trucks, boats, trailers, jewellery, and properties in exchange for loans. During the loan period, these assets are kept in a secure, locked up storage facility with 24-hour security and CCTV surveillance. How do I qualify and how do I apply? All you need to apply is a fully paid off asset and the relevant documentation. The Loan Company aims to assist those who have difficulty accessing loans through conventional channels, so even if you are blacklisted or have had credit issues in the past, they will be able to help you. The first step to applying for a loan with The Loan Company is to select an asset in your name that is completely paid off. 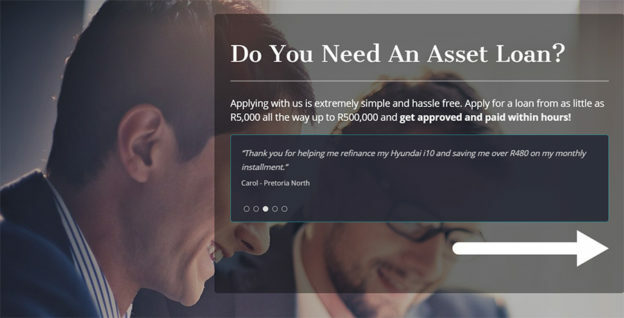 Next, you can apply online by filling in the form at http://www.theloancompany.co.za/ or by calling The Loan Company on 079 159 4389. They will then determine the size of your loan against the value of your assets and make you an offer. If you accept this offer, you will be required to visit their offices in Pretoria with your ID and driver’s licence, proof of address, your original registration document (NATIS), and both sets of keys and your service book, etc. (in the case that you are using your vehicle). Bring your asset in for evaluation along with this documentation and complete the relevant forms. Your money will be transferred directly into your account while you wait. Once you have paid off the loan and interest, you can collect your asset from The Loan Company’s office. That’s simple, efficient service at its best. For more information call them on 087 654 4868, SMS “LOAN” to 079 159 4389, or drop them an email at info@theloancompany.co.za. This entry was posted in Blacklisted on June 3, 2018 by Jane Walter.